Making your own website is a lot of work. Even if you are already good at developing one, there’s absolutely no doubt that making a website from total scratch requires a lot of time and effort from you. From the start of the process itself, you need to plan carefully on the purpose behind your website and who your target audience will be. After the initial stage of planning, you will then be required to use your imagination on how you want your website to be presented before you can proceed to the actual web developing stage. To save you all the time and effort in having to build your website from the ground up, you might want to consider taking advantage of easy websites themes that you find on the internet and simply customize them according to your purpose. On this page, we have listed down ten of the best and most trendy pre-built websites online, and these are easily accessible to anyone for convenience. If you’re interested in checking these websites, feel free to scroll down. 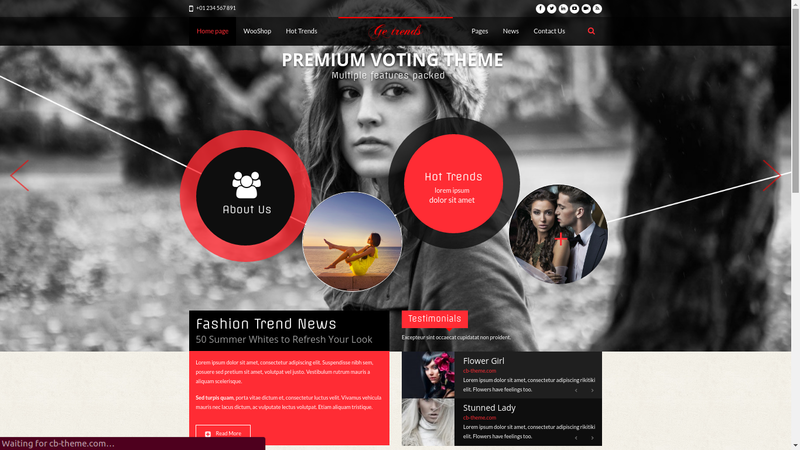 Check out this pre-built website intended for magazine companies, this is the ideal choice if you wish to make a fashion website, or if your website discusses about lifestyle trends, music, videogames, or basically anything that you can read on popular magazines. The layout of its homepage features an organized tiled images and a drop down menu on top which categorizes that topics found on the website. 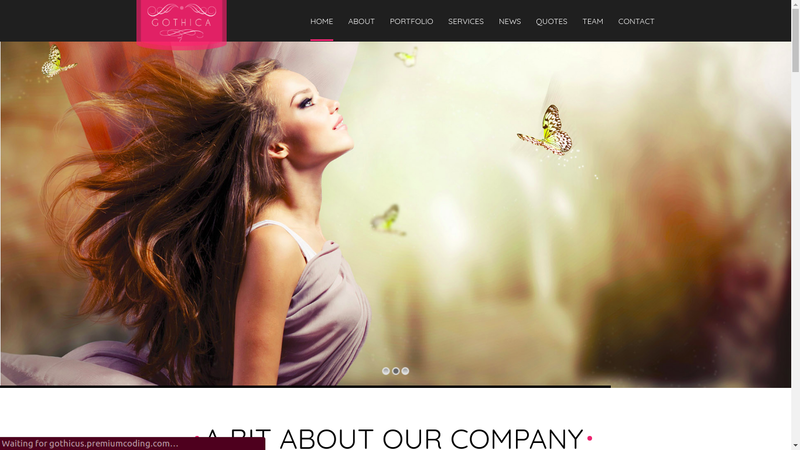 Choose this pre-built design for an dramatic and elegant look to your website. Subway is a versatile pre-built website theme that can be used with WordPress, and you can use this for almost any purpose you wish. As you can see on the image above, it is the same sample that will greet you once you click on the “Launch Demo” button provided. It shows that the website can be used to discuss about extreme sports, travelling, interior designs, and businesses in general. 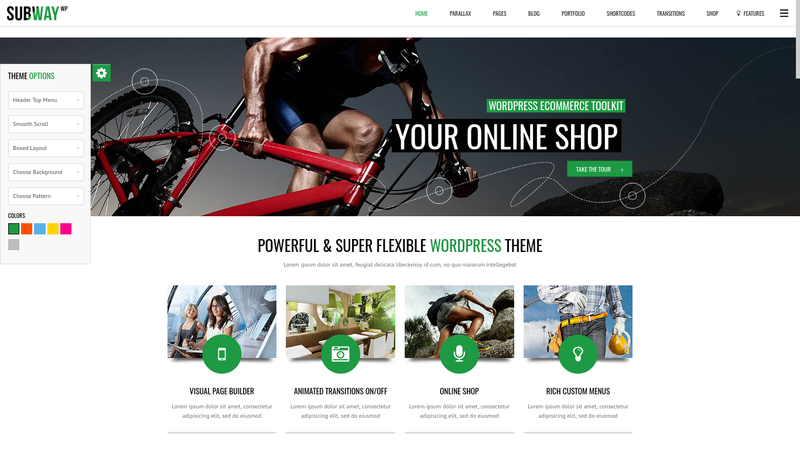 Whatever your purpose is for your website, you might want to take this WordPress theme for a test run. Here’s a colorful theme that takes advantage of the use of social media sites to allow people to share the topics that they find interesting on to their respective social media accounts in the most convenient way possible. In the layout, you can find the most recent topics displayed on the top-most area, and then a drop-down menu which categorizes the topics according to its relevance. On the right-hand side of the page is where you can the most popular topics, and some recent tweet messages coming from both audiences and the website itself. To really give emphasis on the use of social media sites with this theme, you can find buttons all over the layout that will either redirect audiences or let them share the topics that they like on to their social media pages. 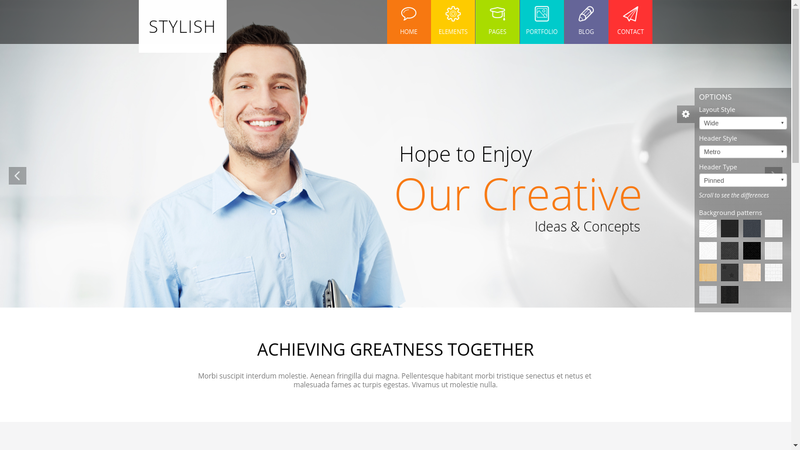 From the name itself, this stylish pre-built website is fully customizable and can be used multi-functionally. 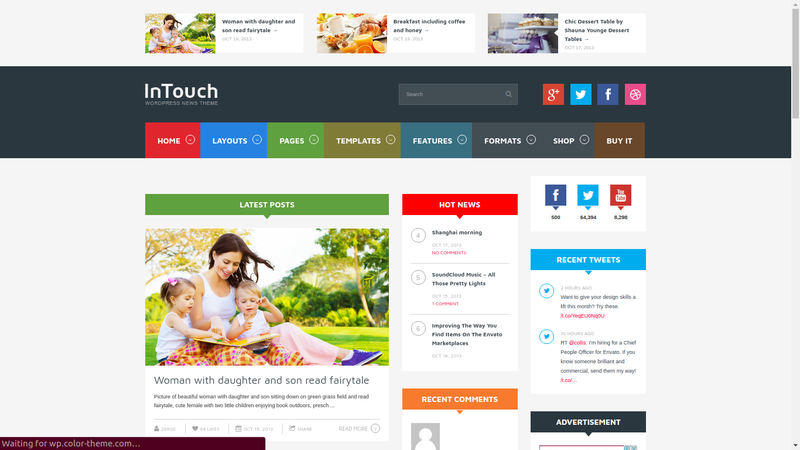 Use this cool website theme to do business transactions, for discussing news and trendy topics, or simply to write blogs. On its main page, you can find that this website maintains neatness and professionalism by being simple and organizing its contents using a colorful drop-down menu that can be seen on the upper left-hand area. From the looks of this pre-built website, as seen on the sample above, this theme focuses on advertising and promoting mock-up designs and templates that are presented in a very organized tile pattern. This theme should have been called “tiles” because of the way the thumbnails are being arranged. To help make the layout uncluttered, there is a category menu on the upper portion that can be used to display different contents from the website, ranging from blogs, a portfolio, and other awesome features, there is even a shopping cart icon at the end of those category menus for items that you wish to purchase. If you are managing a business taking photographs or shooting videos for events, fashion purposes, or simply for personal reasons, then this pre-designed theme may be appropriate for you. This photo website theme was designed for the intention of being used by photographers or videographers, and the menu bar on the top-most portion categorizes the contents according to the portfolio of the artist, the services they are offering, and their contact details. You may even add some more categories on the menu bar that you may find relevant and may help you gain more audiences such as some interesting news, and a page filled with inspirational quotes. Ge-Trends is a creative and modern pre-built website that you can use to talk about what’s trending in the world of fashion. Here, it’s all about discussing on what’s new and what’s hot with regards to clothing, accessories, and even photography. For the convenience of those who wish to share the contents of this site on to their social media accounts, a set of icons are lined up at the upper-right corner where users can click on for easy sharing. A nice feature on this fashion website theme is a “testimonials” section where visitors can leave some feedback or recommendations to the developers with regards to the contents that they find all over the website. 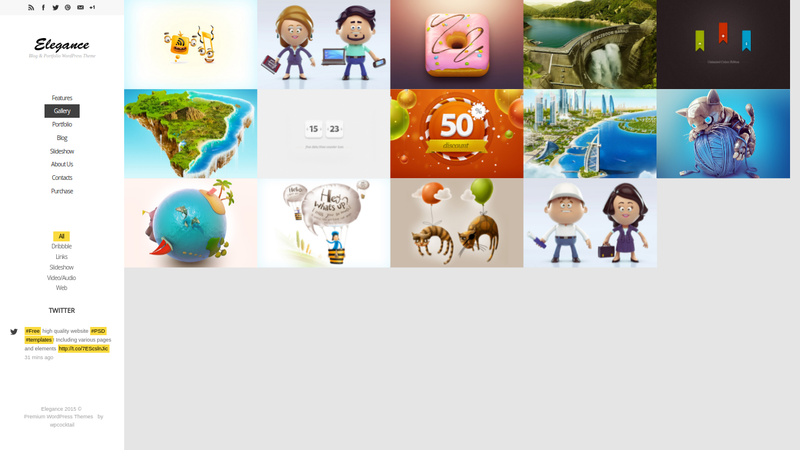 Here is another pre-built website that arranges all contents of the website in a tiled fashion. But unlike the previous one that we have shown you where the menu bar was located at the top area of the page, this one has its menu bar on the left-hand side. 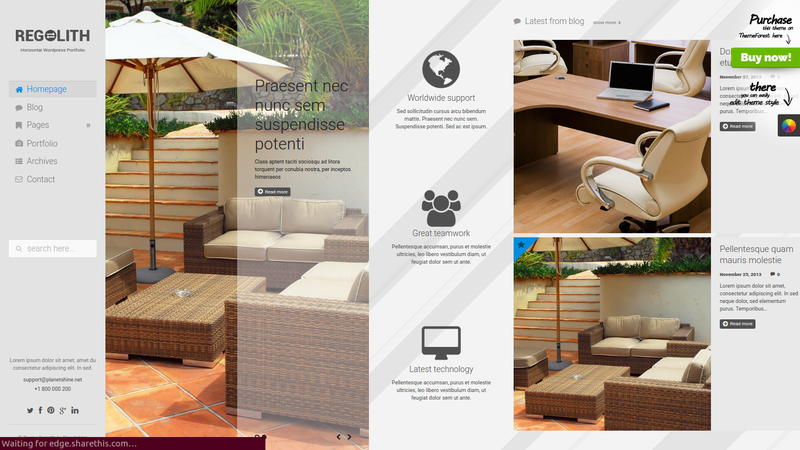 This theme also maximizes the use of white space, which makes it clean and, yes, elegant in appearance. 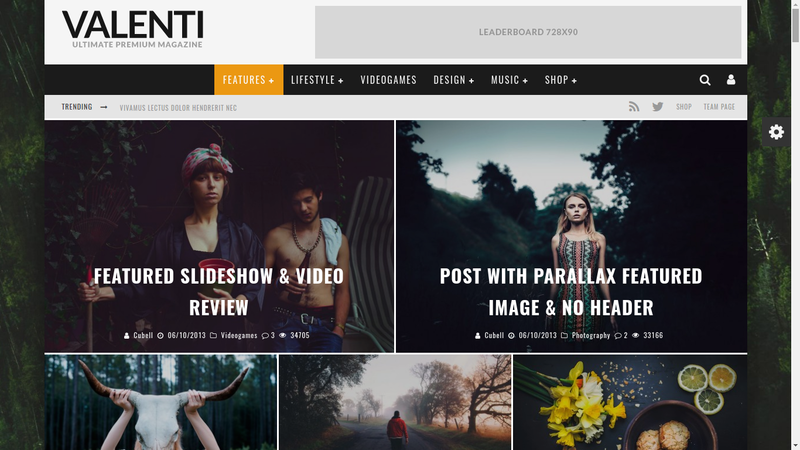 For people who enjoy using social media sites and wish to take advantage of its popularity to gain audiences, here is the perfect pre-built theme for both web developers and users. 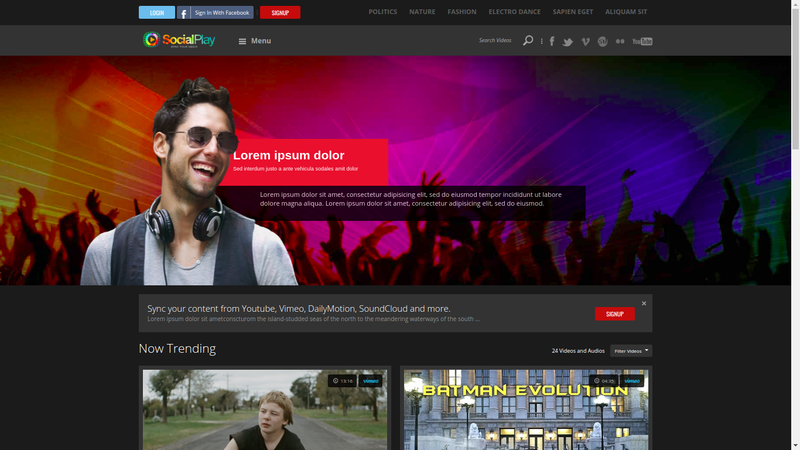 This music website theme places emphasis on its connections with social media or media sharing website, that visitors are allowed to synchronize the contents from sites such as Youtube, SoundCloud, or Vimeo (as seen on the sample image above) on to this one for easy access. Visitors who enjoy watching videos on the internet won’t need to look around different websites just to check on what’s trending, it is up to you to make it convenient for them by gathering popular videos from various sources and also encouraging them to add some that they think are trendy. Help connect people through videos with this pre-built website. If you are into interior designs and home decors, this pre-built WordPress theme is perfect for you. This website focuses on what’s trendy with regards to home arrangements, while you can also use this to promote yourself as an interior designer. What’s awesome about this theme is that unlike the common ones you can find on the internet that are vertically oriented, this one is presented in a horizontal fashion. What do we mean by this? Click on the “Launch Demo” button above to redirect you to the sample website and try scrolling down, it will actually let you scroll to the right. Use this theme to show audiences your interior design skills, while also leaving them your contact details on the lower left-hand corner of the page for their convenience. So what did you think of the websites that we have listed down? Were you able to choose one that suits your purpose of creating a website? We sincerely hope you did, since we looked all around the internet to be able to find the most trendy and creative multi-functional websites for 2017. If you have, then you have already finished the first part of your website, and you only need to customize it according to your needs and preferences. 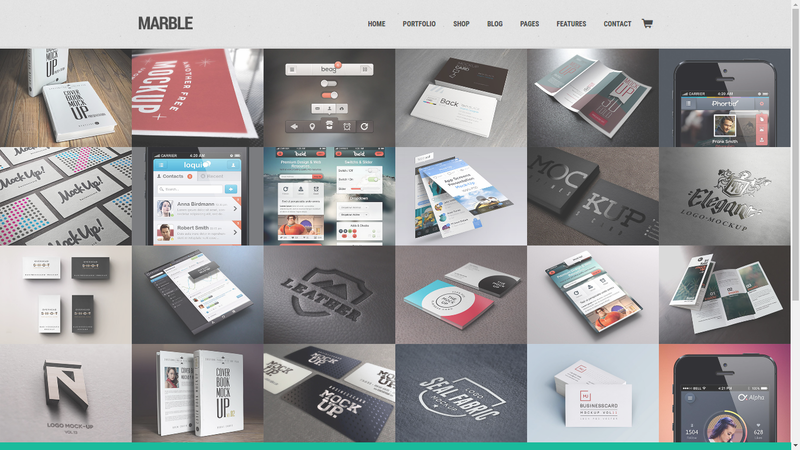 If you want to maintain a limit for the contents of your website, you may to consider checking out our list of the best single-page website themes. So what are you waiting for? Time is gold, so start developing your website now.